As you progress through your first year in college, you might crave a break from the dining hall food every now and then. Below is a list of restaurants in Hyde Park recommended by upperclassmen. Included are suggestions from the Foodie app, an app created by recent UChicago graduates that autonomously crowdsources and analyzes ratings from publicly available restaurant reviews. Salonica is a local breakfast favorite located on 57th Street. They serve large portions and have reasonably priced diner-style Greek food. The place is usually is bustling, but always cozy. Popular dishes include their gyro sandwich and French toast. Foodie suggests French toast (9 ratings, 4.1 stars) and skirt steak and eggs (3 ratings, 4.3 stars). Come by to relax after a busy week! 1440 East 57th Street, Chicago, IL 60637, 7 a.m.–10 p.m. Known as Barack Obama’s favorite breakfast place in Hyde Park, this cafeteria-style diner gathers huge crowds on weekends. Valois cooks food fresh in front of you and is reasonably priced. Second-year Emily Schmitt recommends the Mediterranean Special, and second-year Matthew Pinna recommends the hamburger steak and a biscuit with a chef salad. Popular dishes on Foodie include the steak and eggs (4.7 stars, 19 ratings) and the veggie and cheese omelet (3 ratings, 5 stars). 1518 East 53rd Street, Chicago, IL 60615, 5:30 a.m.–10 p.m.
Ah, the famed Chicago deep-dish pizza. One of Chicago’s oldest pizzerias, it offers favorites like the Chicago Classic and the Special. Or you can go rogue with Giordano’s customizable deep-dish option! Each deep-dish takes around 45 minutes to bake. Foodie recommends the Giordano’s sampler (48 ratings, 3.8 stars). 5311 South Blackstone Avenue, Chicago, IL 60615, 11 a.m.–11 p.m. (opens at noon on Sundays). Looking for a place with good vegan food? Native Foods Cafe serves a diverse range of plant-based and sustainable dishes. Second-year Sydney Jackson recommends the “chicken” & waffles and the jalepeño burger, while second-year Anna Whitney recommends the BBQ burger. Foodie suggests the peanut butter parfait (4 ratings, 4.5 stars) and the chicken, bacon & avocado club (1 rating, 5 stars). 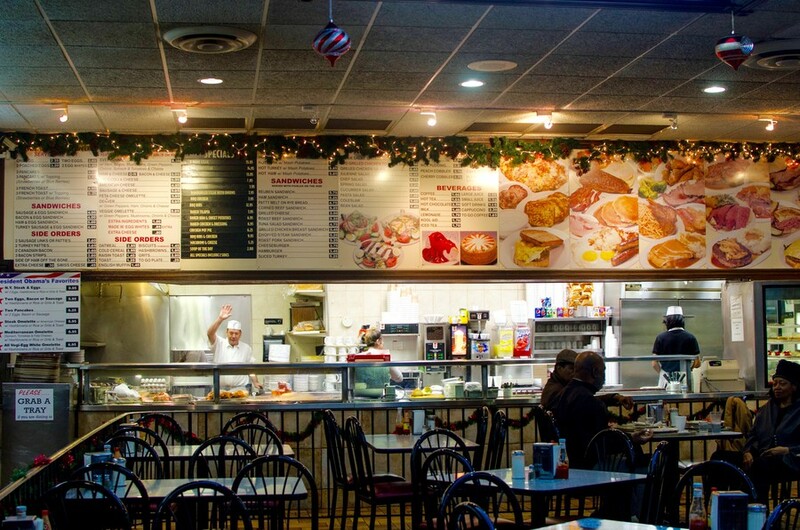 Note that Valois only accepts cash.1518 East Harper Court, Chicago, IL 60615, 11 a.m.–10 p.m. Serving fresh, reasonably priced Italian food with a stellar European ambience, Pizza Capri is an experience for anyone looking to break out of monotony. Popular dishes here include the BBQ Blast and Veggie Twist pizzas. Foodie suggests tiramisu (3 ratings, 4.7 stars), tequila lime chicken pasta (6 ratings, 4.3 stars) and Thai pie (2 ratings, 4 stars). 1501 East 53rd Street, Chicago, IL 60615, 10 a.m.–10 p.m. The Foodie app launches to UChicago students in October. Join the waiting list for the Foodie app at www.thefoodieapp.com.